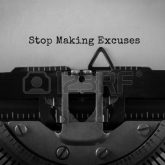 Copywriting myths debunked: time to stop making excuses! Will you get a gold star from Santa this year? 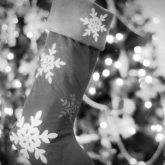 Take my Christmas quiz and find out! Imply or infer: do you know the difference? Specialist or generalist: which type of copywriter is right for your business? Brake vs break: do you know the difference? Effect or affect: do you know the difference? Advise and advice: do you know the difference? Accept or except: do you know the difference? Poisonous vs venomous: do you know the difference? Eg and ie: what’s the difference? As a copywriter, editor and proofreader Sarah is a true specialist. In this too-often overlooked specialist field it is refreshing to work with a master. First class. Sarah Townsend Editorial Limited. Registered office: 12 High Street, Stonehouse, Gloucestershire GL10 2NA. Registered in England number 10203866. VAT registration number 241 2923 31.